As a Des Moines photographer, I am so excited to post a few teaser photos of my most recent session. Megan & TJ came in from Chicago this past weekend to do their engagement photos. We couldn’t have planned it for a better weekend! We were so lucky, and took advantage of the crisp warm weather in this February weekend. 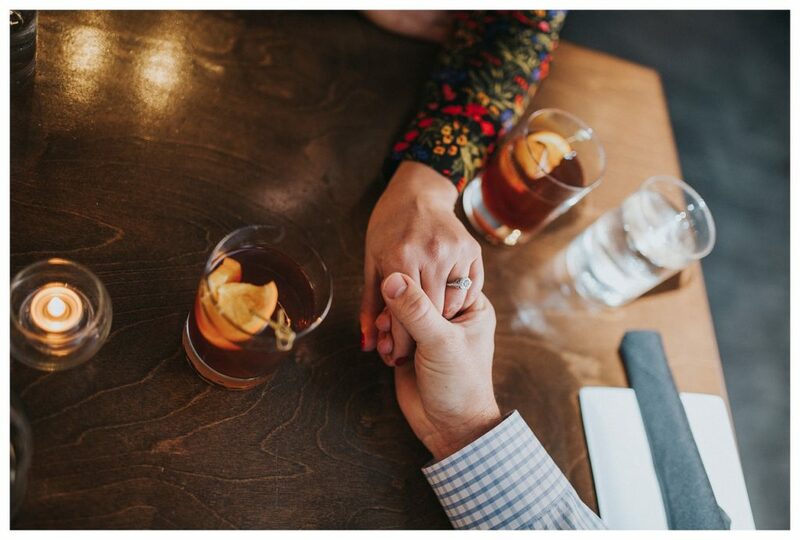 The shoot began with us winding around Court Ave and finished at RoCA, where the couple ordered some of their favorite drinks. TJ and Megan were so cute. TJ would look at Megan, and her whole face would light up with a contagious smile. As a Des Moines photographer, I am so excited for this couple and am looking forward to their wedding coming up this April!